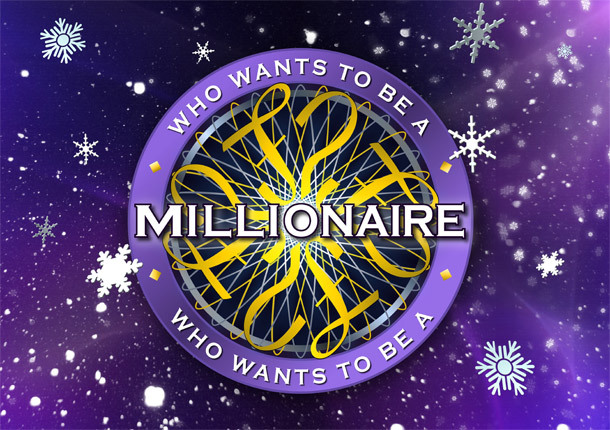 ITV1's Who Wants To Be A Millionaire?, UK television's most popular quiz show, is back and in a NEW VENUE. Lost in TV is very proud to bring you the chance to experience the return of the show live in the studio! Join Chris Tarrant and a whole host of CELEBRITIES at the BBC Television Centre, for these brand new CELEBRITY SPECIALS. Obviously, you'll play a very important part in the show when the contestants 'ask the audience' - so be prepared! Notes: Tickets will be delivered by e-mail for this recording. Warning: This show may feature strobing and lighting effects.